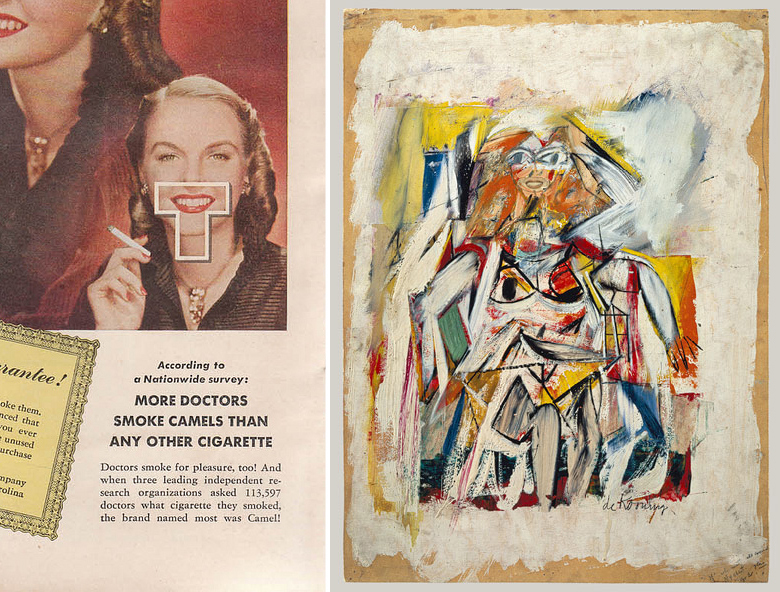 deKooning collages the mouth from this Camel cigarette ad to his 1950 painting Woman. While researching artists who use collage, I was intrigued to see how American Abstract Expressionist Willem deKooning incorporated elements from ads into his paintings. The addition of a mass-reproduced smile (from a rather grotesque cigarette ad) makes the face in the painting above a little more mask-like. The intrusion of a foreign element complicates the charming spontaneity of the figure, as realism and abstraction collide in a jarring hybrid image. I challenged myself to make my own smile collage. This is what I came up with. 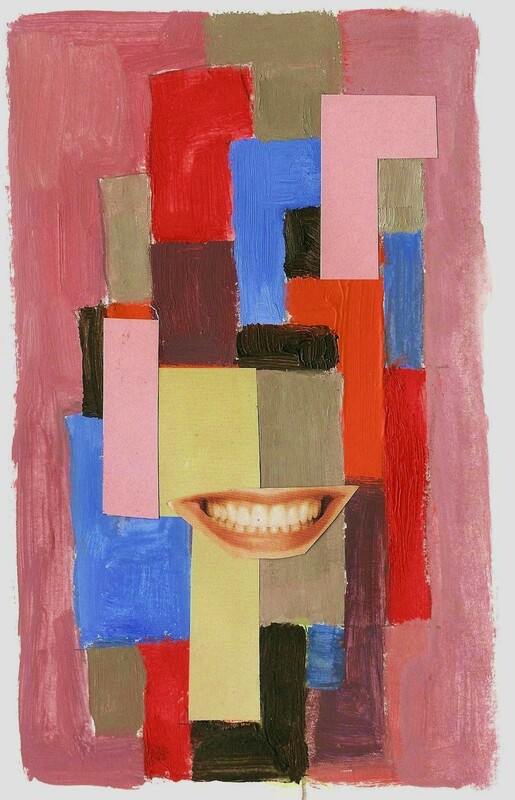 Could an abstract construction be a face? A mask? Or are the colours and forms just happy to be together? Hope this collage makes you smile. This entry was posted in Art and tagged collage, Ed McKean by dougcube. Bookmark the permalink.